Best Instant Coffee – Everything about our modern society is drawn to the concept of instant-anything! Arguably time is the world’s most valuable commodity and instant coffee offers us that as well as so much more. Instant coffee is simply a beverage made from brewed coffee beans. It’s commercially prepared by either freeze-drying or spray-drying method. It has become increasingly popular due to a longer shelf-life; it provides a greater quantity of the product in comparison with the price you pay for the regular alternative and as a result of the quicker speed of preparation – as implied in the name. Does what it says on the tin – it’s instant, I mean really, what more do you want to know? 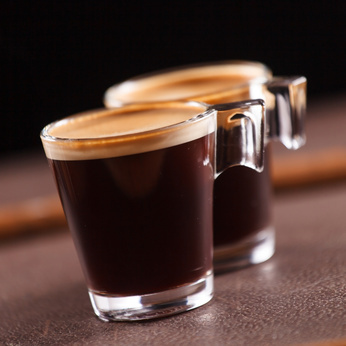 When and how you want it and with a quality that will promise to match their regular alternative, it’s a wonder coffee shops are still getting any business! Availability from Big-Named Brands – with many big-name brands such as Starbucks now producing instant alternatives and at reasonable prices, there’s no real need to question why many are no longer paying to go out for their favourite branded drink. Healthier – there’s also an abundance of articles discussing the health benefits associated with studies about how drinking instant in contrast to regular coffee can help lower blood sugar levels and offer protection against chronic diseases – who’d have thought?! 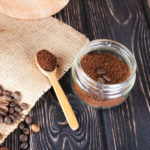 So that’s why we hope this simple article detailing some of the best-loved brands of instant coffee will help you, help yourself! Enjoy! If you’re looking for the real deal; in the comfort of your own home – and don’t want to feel like you’re taking a barista-style course to achieve that signature Starbucks flavor you know and love, then look no further. With their simple and easy to follow three-step plan, you can’t go wrong. Just add water, wait a matter of seconds; stir and voilà, you have it – the great taste of Starbucks-quality coffee, and plenty to share around as it contains 50 packets! → Get the Starbucks VIA Ready Brew on Amazon! This option is definitely for those of you coffee-lovers that really want authentic, organically grown quality coffee. Boasting to be the first certified freeze dried coffee in the world; as the name suggests, carefully selected and harvested from the highland, this coffee does not compromise on providing what they believe to be the best money can buy. Was it worth the effort? With an average of 60 cups per jar; a generous amount by anyone’s standards, you and your friends won’t be lacking for an opportunity to come to your own conclusions on whether the taste really matches the description. → Get the Mount Hagen Organic Coffee on Amazon! Not interested in brands and marketing; just looking for good quality coffee that dissolves quickly meaning less time spent preparing to start your day and better spent cracking on with your endless to-do list – this is definitely for you. Very reasonably priced and equally generous size, with glowing reviews from people who’ve tried it hot and cold; with milk and water – but ultimately it’s a great tasting fix that get’s the job done! Among the wide-range of instant coffees available today, this Douwe Egberts certainly has all the references needed for a glowing resume – and what do most of them have in common, there’s no going back! Many people are surprised at the fact there’s no bitterness or acidity – in fact quite the opposite, claiming it tastes just like freshly brewed coffee. One thing’s for sure, you’re in good company with this purchase and with its reputation, I’m sure you won’t be disappointed. → Get the Douwe Egberts Pure Gold on Amazon! Looking to add a little flavor to your morning – with such simple instructions and great recommendations, you can’t go wrong. Easy to make according to personal preference, it’s a shame it’s not so easily found in local stores. Nevertheless, at such a reasonable price, it’s a treat you can definitely afford to add to your shopping list! → Get the Maxwell House Int. Coffee Vanilla Caramel Latte on Amazon! This Maxwell House Coffee is a great little accompaniment everyday – at any point in the day. This unusually rare sugar-free, decaffeinated combination is ideal for diabetics. Although the price is expensive by in-store standards, buying online couldn’t be easier with quick, no-hassle transactions and free shipping. → Get the Maxwell House Coffee Decaf Sugar Free Suisse Mocha on Amazon!